When spreadsheets make you happy… When pivot tables make you excited… When writing social media marketing plans keep your creative juices flowing… When setting up databases, making forms, designing PowerPoints, and creating processes make you giddy with delight – then it’s safe to say it. You’re a nerd. And for Denise Heidel, self-proclaimed nerd, all that (and more) is true. When that self-realization is combined with an entrepreneurial spirit and a genuine love for small business – you have The Office Nerd. “I have been working with social media pages since 2008 when I started two Facebook pages on Hollywood History’s Golden Era,” said Denise. “Those pages were a hobby, and while I enjoyed them, I eventually shut them down because moderating discussions from 7,000+ people became too time-consuming. But they gave me the experience I needed to understand how to build a successful Facebook page and Instagram page.” Denise has put those skills to work for various businesses in the community, as well as promoting her own daily blog, My Grace-Full Life. Beyond social media, Denise loves a good spreadsheet. “Be still my beating heart,” exclaimed Denise. “I love to create databases in Excel or Google Sheets. There are so many creative ways to use Excel. I think most people underestimate how much fun it can be! 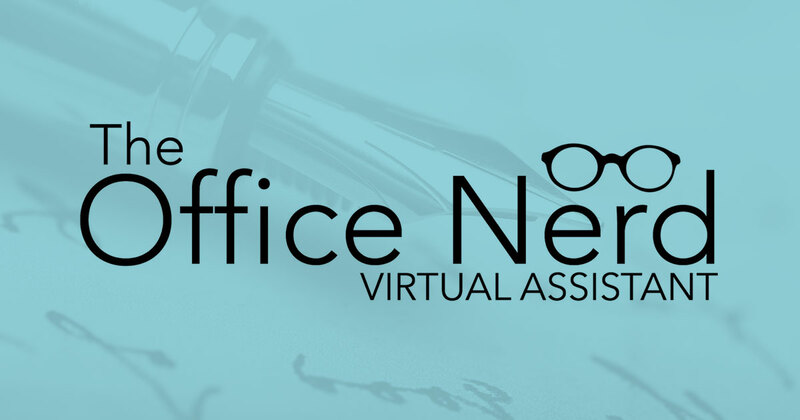 The Office Nerd Virtual Assistant is based in Clemmons, NC. Visit TheOfficeNerdNC.com to get all the details. Denise can be reached via email (Denise@TheOfficeNerdNC.com) or phone (336.413.7610).